It’s been a long wait for the new MacBook Pro, as Apple have continuously moved the released date for months at a time, with the release date of their flagship laptop set for this September…hopefully. During the waiting period, there was a large dose of turmoil as fans of MacBooks were split in the face of new changes that are speculated to introduce the future course of the Apple design team. Likeable or not , the new MacBook PRO has left everybody impatient to test the new features it has in store and see whether once again the MackBook will set the bar for flawless design, as it has done so successfully in the past. Until its release finally arrives, the best we can’t do is try to kill some time by either playing games or drooling over the rumoured spec sheets. Thus, if you’re more interested in the former, you can check out this casino app, which will run perfect on any Apple device, but if you came here for the latter, let’s see what makes people so impatient about the new MacBook PRO. Following the redesign of the 12 inch MacBook, Apple fans and industry experts have been suspecting a change in design of the new MacBook PRO. The most vocal arguments point out that since the 12 inch version had been redesigned to be slimmer and lighter the PRO version is bound to follow this trend. 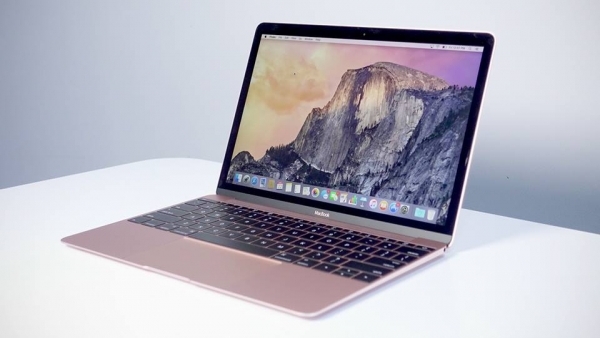 The arguments are further supported by the speculations involving a 15 inch version of MacBook Air which has never been seen thus far, which only prompted industry insiders to conclude that the thin 15 inch chassis that Apple were using during production is reserved for the new MacBook PRO. Although Apple keep their hardware specs a secret until the final reveal, there have been major rumours surrounding the hardware the new MacBook PRO will boast. The most sound predictions so far are for the laptop’s processor, which many have said that it will most likely be Intel’s sixth generation Skylake chip which has been already used by their biggest competitors Microsoft, Dell, and HP. However, the Skylake chips are already being replaced by the newer Kaby Lake CPUs, which some experts have said that Apple has already turned to. But if that’s the case, then fans will be disappointed as the Kaby Lakes will only start shipping by the end of the year. Following the positive response they received for their Touch ID feature which found itself in iPhone 7 devices, experts have been claiming with much certainty that Apple would include the same finger recognition in their new MacBook PROs. There aren’t any official confirmations, of course, but if the Touch ID is part of the new MacBook PRO features, then prospective users will definitely have something exciting to look forward to. The Touch ID is one of those things that you don’t really ask for, but once you start using it you are left wondering how you could’ve lived without it. The integration of the feature is still a mystery, although most suspect that it will be located in the power button to allow for user identification before switching on the device. And considering the iPhone’s Touch ID is already being used for Apple Pay, if Apple decides to include the new feature in their upcoming MacBook PROs they will make the lives of their users so much easier. And finally, one of the biggest changes that most fans are excited about is the replacement of the traditional function keys with an OLED touchbar. 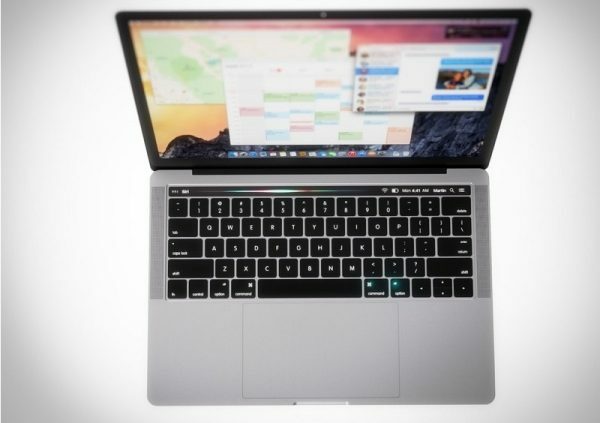 Experts agree that this new concept will make the new MacBooks more user-friendly than their predecessors, as the touchbar will most likely serve as more than just a fancy replacement for traditional keys. The OLED bar is rumoured to be a fully customisable function key bar that will allow user to delete and change their keys, as well as assign them to installed apps on their devices. This rumour doesn’t sound far-fetched at all, especially when you consider Apple’s strive to introduce pioneering changes to improve the practicality and ease of use in their devices. What they are not happy about? On the other hand, the biggest concern for excited Mac users are the rumours that speak of the new MacBook PRO as a USB-C only device, meaning that there would be no standard USB ports as there have been in the versions so far. This rumour was started after the 12-inch version that came out this year had already had the ports changed, inspiring a lot of criticism by users who didn’t want to haul adaptors around to charge devices on their MacBooks. Will this turn out to be true we are yet to see, but for the time being the positive changes that the new PRO version brings by far outweigh the negative ones, making the upcoming release that more exciting.